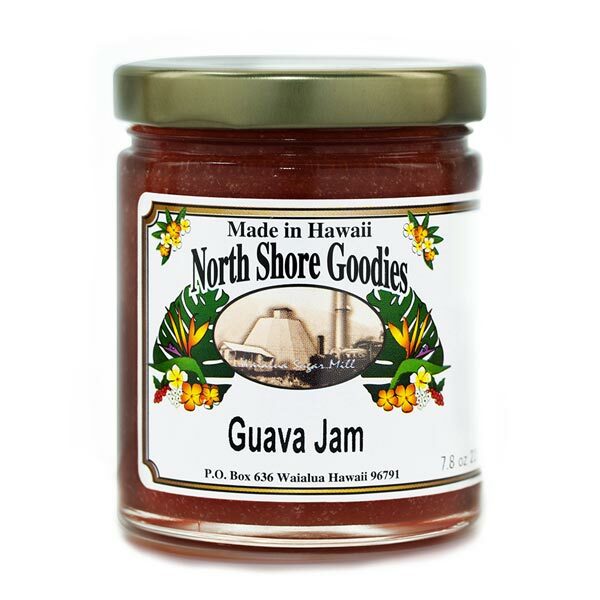 Our guava jam is made from guava, honey and pectin. All natural and no high fructose corn syrup, or preservatives. Just natural goodness. Great on top of pancakes, scones or even toast. 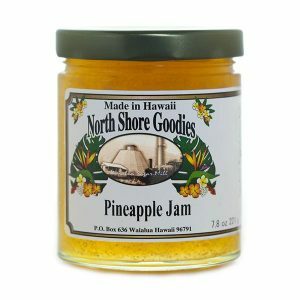 Our guava jam is made from sun ripened guavas picked directly from the shrubs of our local farmer friends here on Oahu. 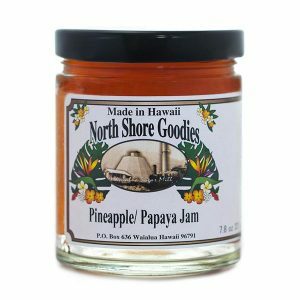 Guava is definitely a local favorite, and if you’ve never tasted Hawaiian guava before the flavor is reminiscent of kiwi, pear and strawberry rolled into one. 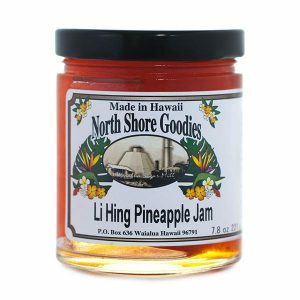 We use honey in our guava jam instead of sugar which enriches the flavor and consistency of the jam. 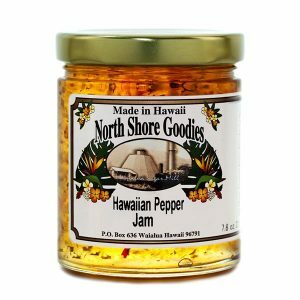 It’s perfect as a topping on fresh baked breads, pancakes, bagels and muffins. It can even be used as a glaze to flavor cakes and frostings, or even as a marinade for chicken or fish.